Something a little more unusual for those of you that have a thing for Hubs and these come with a back story, which for me, making an item more interesting. 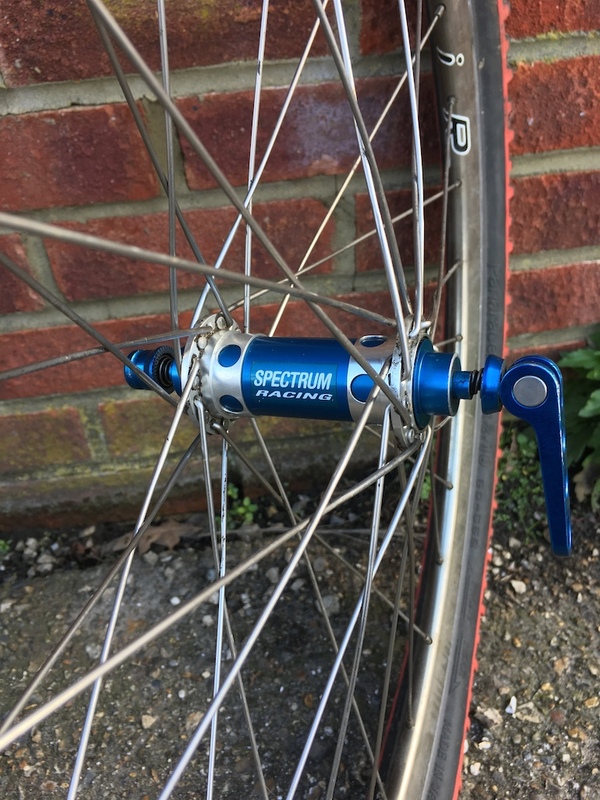 Here, I have a set of prototype Spectrum Racing Hubs using a Shimano Freehub body that never went into final production. Who is Spectrum Racing? For those that were racing back in the mid/late 90's, you may well remember the name of a UK rider called Stefan Gleed who raced XC and moved across into DH proper. A few of you, like me, probably rode with him most weeks for years as well. 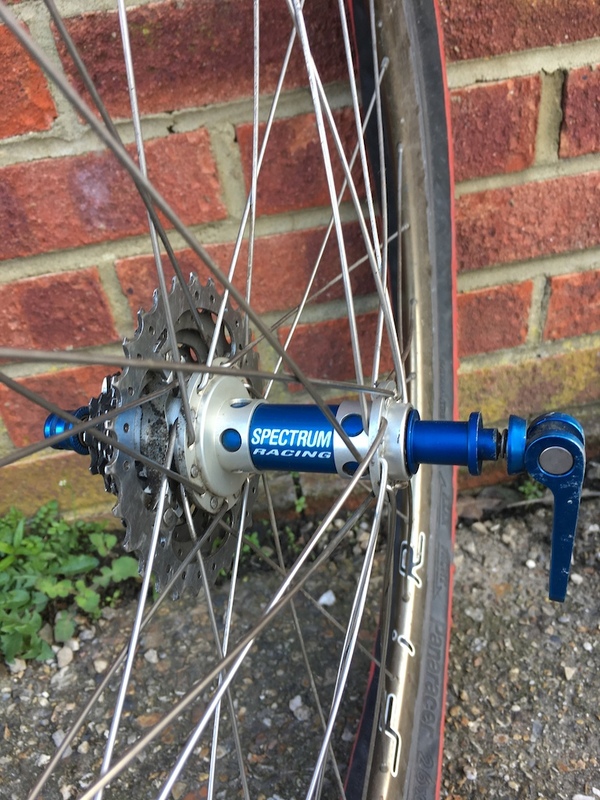 As well as being a decent rider Stefan was also a bit handy with making his own parts and did a very small run of maybe 5 sets of Hubs under the guise of Spectrum Racing. A few of us them tested them out for him as a bit of R&D with a view that he would probably look to start of with low volume production runs. This would have been around '94 or '95 at a guess. I imagine the costs and priority of racing prevented this from ever happening but 20 odd years later, these hubs are still going well and I think look great, ignoring that they need a proper clean. like the look of them. Know the weight of them? I don't unfortunately. I weighed the wheels and they came in at around 1900g with what is probably a fairly heavy aero profile rim and single butted spokes so they can't be too heavy. I'll end up stripping them off at some point to clean and get a proper weight. Good luck with that if there were only 5 sets made! Nice looking hubs though. We're they 7/8 Speed Cassette? They were for 7/8 speed Shimano cassettes. I’d consider selling them as I think they would never get used in the near future.